There is much misunderstanding when one refers to the (all encompassing) term Hip Hop. 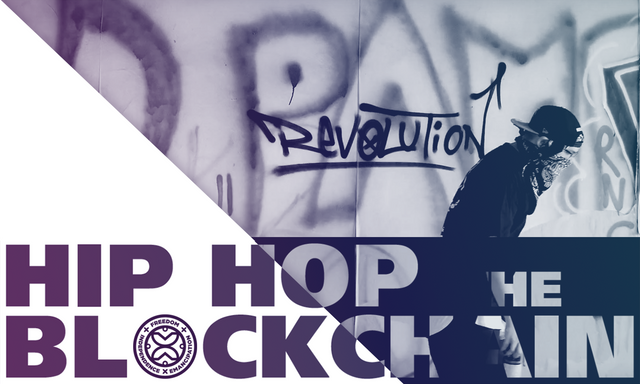 Since we all know what Blockchain is, we hope to enlighten you by sharing our story and why we feel it's so important to represent Hip Hop on the Blockchain with this introduction for our new supporters as well as those finding us through the awesome @sndbox! We have incorporated key elements of the Fawohodie symbol in our "logo" because we felt it fit perfectly our vision of what Blockchain technology can provide all of us: Freedom, Emancipation and Independence. It was just around 3 months ago when we began our journey on the Steem Blockchain, embarking on a mission to use Edutainment as a means to reach a wider audience and bring more (Hip Hop) content creators to a platform that can not only benefit them financially but is also free (for the most part) of censorship and supportive of the arts. If you want to flashback to our first Introduction post just click here. Take a look at what we've accomplished so far! So what have we managed to accomplish over the past 3+ months? I think this is vital for us to share in this (re)introduction post because it covers a lot of who we are and what we are trying to do here. World Of Hip Hop was our first community collaboration with @neutronenkind and aims to put Hip Hop on the map, quite literally. There's a link under the photo that will give you more information and recaps all our posts thus far for this segment. Off The Record was introduced next. A collaboration with @stickykeys offers readers fresh reviews of the newest Hip Hop albums in a personalized and fun way that you don't want to miss! In March 2018, @vandigital went to NYC and Puerto Rico in an effort to meet Brock Pierce and pitch Hip Hop The Blockchain for further support of the project. Things didn't quite work out the way he planned, but you can catch a recap here. A Hip Hop The Blockchain anthem was put together by @djlethalskillz & @vandigital to further the "Edutainment" aspect of our project. A lot of time, energy & money was invested in this in hopes that it would bring about more awareness for our collective endeavors here on Steemit, and on a host of other Blockchain platforms. Here's the Music Video that was released at the beginning of June 2018. We have also managed to put two of our (highly active) community members in the Spotlightfor the community to learn more about them. We are still waiting for more members to complete the interview questions and invite others who would like to be featured to contact us via our Discord. Don't sleep! It's been challenging, as mentioned above, but it doesn't mean we don't want to support Hip Hop related projects as much as we can. In fact we're happy supporters of the Broken Brain Steem Powered Tour as we feel that @definitionmusic is on a similar path in advocating Steemit for Hip Hop content creators and doing this work in the real-world through a tour. Show your support by upvoting posts from @asonintrigue @omegarift @blackliq@fatherearth & @wolfnworbeikood! Coming up next is a new segment entitled "5ifth Element" that is all about Knowledge, which is commonly known as the 5th Element of Hip Hop Culture. This segment is curated by @vandigital but is open for any of the community to contribute to, as every Hip Hop scene around the world has its own "origin story" that should be shared! Look at where we are now! It is such an honor to have Hip Hop The Blockchain in the 2nd Cohort of @sndbox's incubator project and we are super excited to step our game up and bring more impactful content to our audience. We've got a lot of respect for what @voronoi and @hansikhouse are doing and we hope to do the same in the future for the Hip Hop community on the Blockchain! And as much as don't like promoting ourselves on other platforms we created a post specifically for that here. We want to thank everyone who has supported our journey thus far! It's because of you and the community that we are doing this and we can't do it without you! This post was authored by @hhtb , a member of the sndbox incubator. Learn more, follow @hhtb or begin a conversation in the comment section below. kudos to @sndbox for their massive continuous support to arts and music and especially Hiphop cus its dear to my heart :P but really @hhtb are doing great initiatives with the power of the blockchain so great to see the collaborations with Sndbox. Respect! A friend of mine is into that Hip-Hop, esp. Dancehall (the Jamaican Style) thing sice over 20 years as producer and micartist. He also tries to create some own beats but his micskills are really wicked. Maybe you check out his blog and you can support him a little. As he suffers from chronic disease (Morbus Bechterew) it is not a easyliving for him. I also put you on my autovoting list. The fruit of cooperation is success. I like this project and it’s great to see how it grows! Thank you for the great featured about hip hop. Cheers and hoping more and more hip hop enthusiast can join us too.. I am an ardent fan of hip hop. Gonna keep eye in you guys. Kudos to @sndbox team for collaborating with you guys. Music and hip hop in particular is another great example of how people can better develop their art when they are unknown on the blockchain. Thanks, I did not know this project. Let's do a Graff segment for our weekly curation! Saw that you joined the Discord. Let's link there! This is a great creative idea for those who love Hip Hop. Music and blockchains are a perfect match. I've been growing a thriving community on Steemit called Steemit Open Mic, a live music venue for musicians on the platform. Listening to musicians play music every day, watching them improve their skills and build their audiences is so much fun. I wish you the best of luck and hope this thrives too. Thanks for all the creative ideas you guys keep coming up with. If you ever would like to do some collaboration together I'd be down with that. Keep up the good work and see you guys at Steemfest. I liked your post. Thanks to you. Thank you @sndbox! We truly appreciate the effort and the support of our project and we hope to make the best of this opportunity to bring quality posts about Hip Hop to the entire community! One love! Thanks for the shout out, @sndbox! Looking forward to be a part of the community in your next round of applications!